In mine, and many tourist's opinion, this is one of the key cities to visit in Rajasthan. Sauntering across the lake and admiring the history of the area. Hmm…I wish the palace wasn't as busy at it was the time we went. Herding cattle comes to mind. Walk through the city, although our driver and hotel appeared to think we wouldn't like the experience. I'm pretty sure I would have. Don't judge a book by its cover hotel staff! Udaipur is still home to members of the royal family, who for business purposes have split their accommodation for the pleasure of tourists. 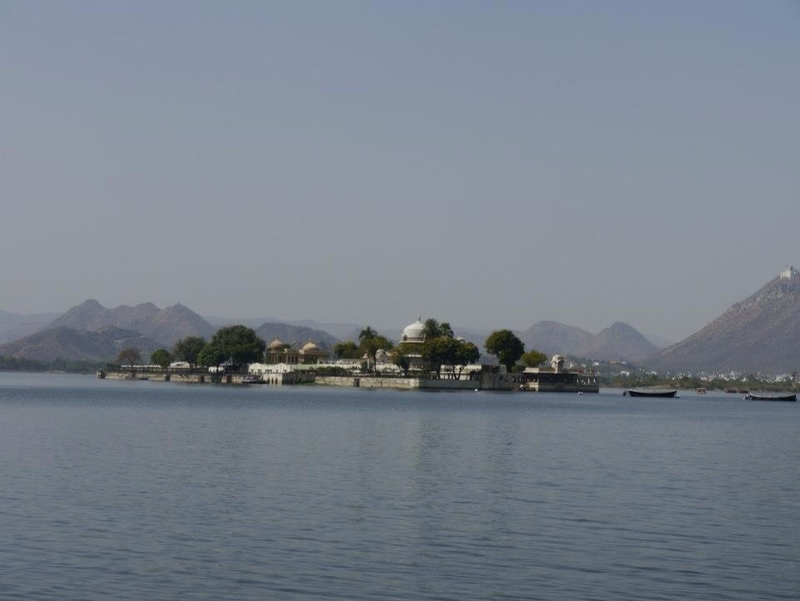 3 man-made lakes make up Udaipur's splendour with most of the high end hotels pitching up by Lake Pichola. This was our second stop in Rajasthan and having researched locations, I felt that out of the 3 cities we would be visiting this was probably the one that there was least to 'see'. For that reason, we made this our luxury stop staying 2 nights at the Leela (much to my wallet's disapproval). 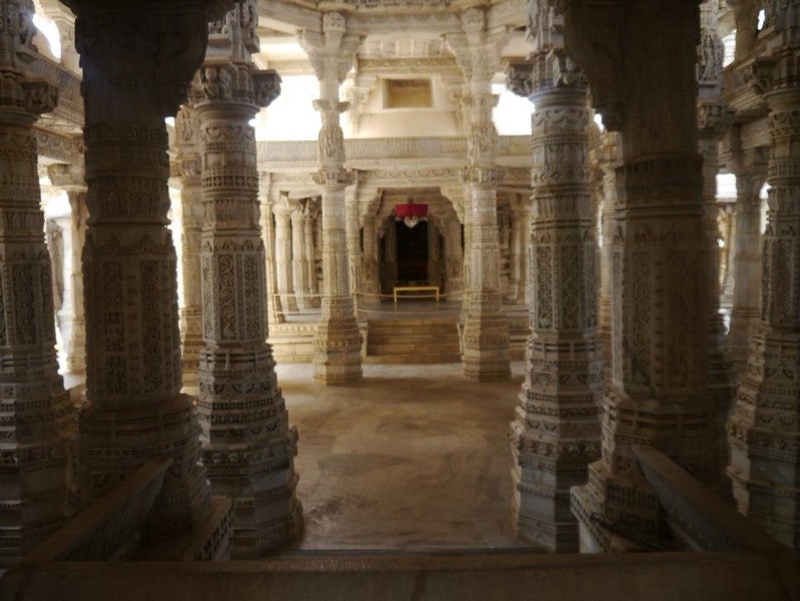 The aim was to lounge, soak in the views, be treated very well and visit the City Palace and the Jain temple (both within 5 mins walk of each other). I have to say, the rooms were lovely and opulent without being over the top. We had a wonderful view over the lake, in the main building. We were on the first floor but I can firmly say third floor would have been the best. Staff were attentive without being overbearing and the grounds are lovely to wander. We did leave the hotel for just over half a day to see the sights but really wish we had gone by foot, purely to soak in more of the atmosphere which I felt was lacking. 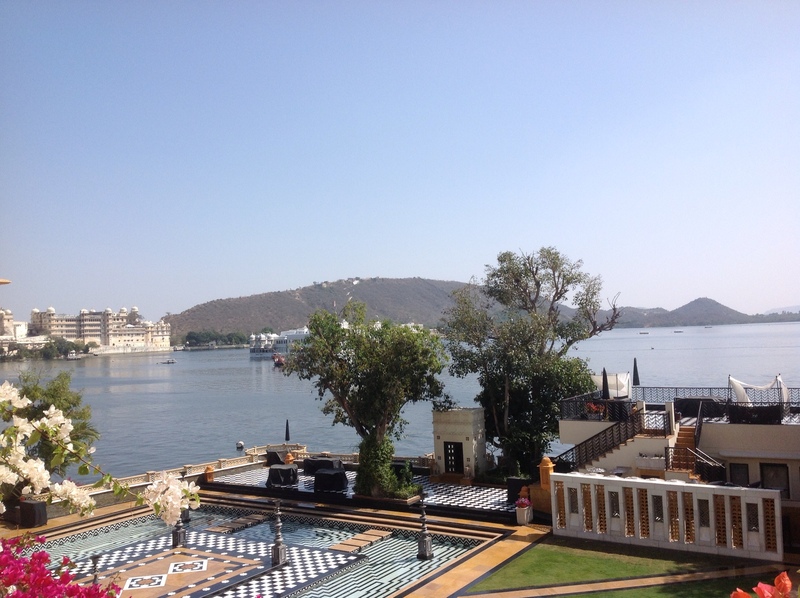 I don't think I would go as far as to say 'we could've been anywhere' as in reality we could see Jag Mandir, the Palace and the lake from our room- we were definitely in Udaipur. Our really wonderful driver (Ishwar from 4wheel drive company) treated us to a stop at Ranakpur temple on our exit from Udaipur going towards Jodhpur. This was undoubtedly the most beautiful temple I have ever seen. Hand carved marble in a maze-like adventure setting. Just stunning and highly recommended. A warning that there are some very windy roads on the route as well as a plethora of monkeys eager to challenge you to a duel. We stopped off at a local restaurant/hostel and had some very well made vegetarian food. I did have my tummy pills handy, but thankfully never needed them! We ate at the Leela on both nights for reasons of pure laziness. Room service was good and the restaurants equally good. Not here. I did have a martini in the hotel and we had champagne that we had bought at the airport. Being a popular tourist destination, I'm pretty sure there are a number of places to stop for a fancy drink or a beer or two. 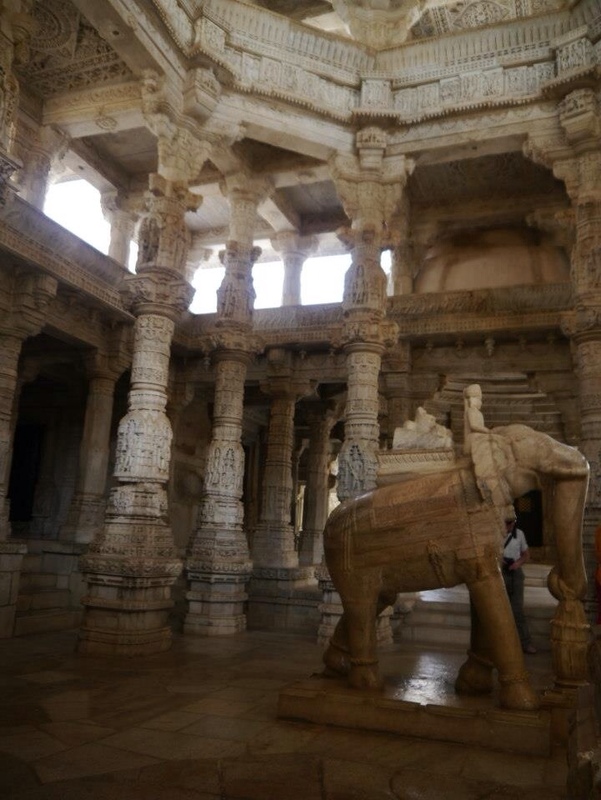 This entry was posted in Uncategorized and tagged lake pichola, Leela palace, ranakpur, udaipur on November 18, 2013 by Psychtraveller.